All Granary fans were saddened to hear of the death of guitar maestro Gary Moore. One of Gary’s first gigs in in England was at the Granary as the front man for Irish band Skid Row. 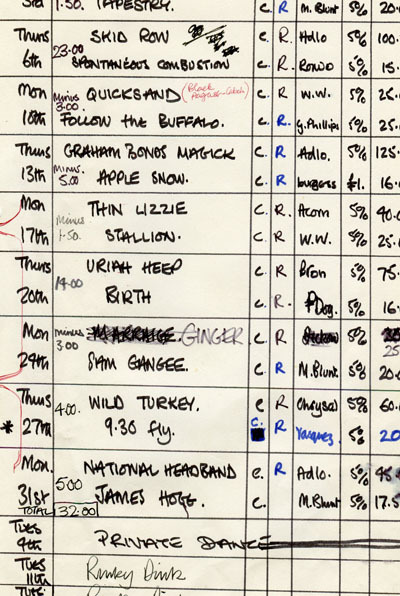 Here’s the page from Al’s Granary desk top diary where he kept details of all the Granary bookings which shows the third Skid Row date in May 1971 and, a few weeks later, the booking of Skid Row’s stable mates Thin Lizzie (they changed the “ie” ending to a “y” before the release of their first English record ( NEW DAY EP for which Plastic Dog partner Rodney Matthews did the cover). 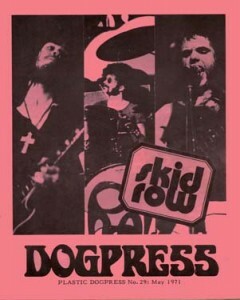 We were so impressed by the musicianship of this 16 year old guitarist the we re-booked Skid Row immediately and put them on the front cover of our Granary Dogpress magazine for May 1971. Skid Row played six times at the club and Gary always stayed over at our flat in Clifton and wow did he like to party! Full stories on pages 35 and 50 of the Granary Book. 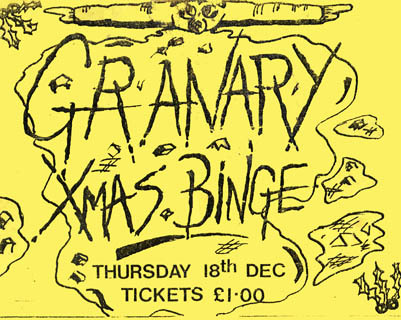 Gary also did three gigs at the Granary with his Gary Moore Band. Al did ask Gary to write the foreword for the Granary book but he was unable to meet the publishing date. A few interesting items that didn’t make it into the Granary book have surfaced including this ticket for the 3rd day BBC RPM music series that were filmed at the Granary in 1981. 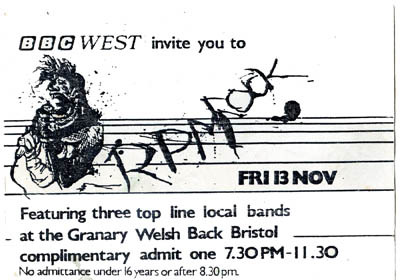 Wednesday 11th November 1981 featured THE STRANGLERS and VICE SQUAD, Thursday 12th was ALARM CLOX, THE GROSS CLUB and BLACK ROOTS, Friday 13th was SLOW TWITCH FIBRES, NEON and the PAYNEKILLERS. The collection that contained these Granary bits and pieces were found in Les Pearce’s desk and were given to us by the Pearce family for which we thank them. 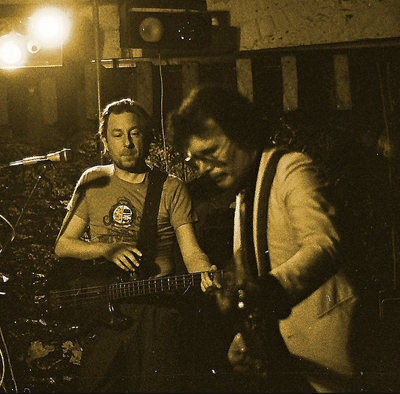 Gran Fan Aidan Naughton supplied us with this pic of Welsh band MAN on stage at the GRANARY on 2nd Feb 1984. The photograph was taken by Mike Ware. 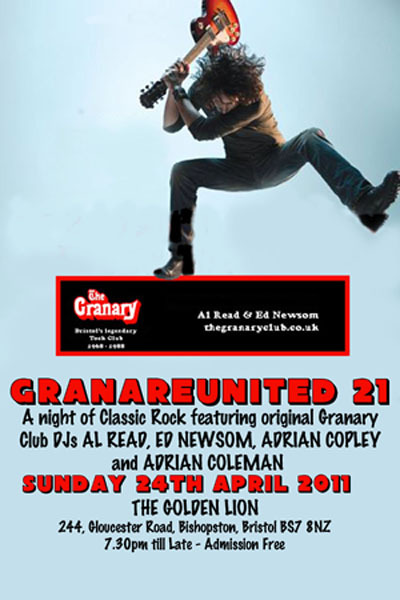 Granareunited is always a great night crammed with all those classic rock tracks that made the Granary Club legendary. So whilst the rest of the country is going royal wedding crazy why don’t us rockers go crazy with a magical marriage of loud classic rock and beer at pub prices. Make a note in your diary to be free to make it to the Lion on Sunday 24th April.